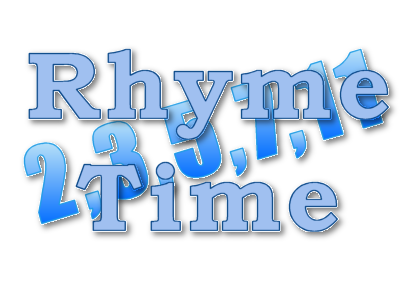 Since I can't seem to fix Blogger's 200 comment issue, here's a new post for your three-word rhymes. You take such good care of us. And here's another triple rhyme. L T S Song from a bird coming up shortly. P W K Quite clever feline. Good Wood Food? The last word doesn't exactly rhyme with the other two. S B P Has an accident with Dr. Cosby's "disco biscuits". K S T Rudyard's son getting drunk. W K B Describes Camille Cosby after all this is over? D S Q Petty argument between brothers on the basketball court. C L H Medieval stringed instrument recently employed by a singing group. B D G Partygoer in the perfect outfit. A W N Ridiculous fellow, much like pjb, say? M P H 60's madman pullin' a fast one on a 90's pop group? Forget about telling Susan what to do? But, hey Will, heads up! C D T Midriff of a friendly ventriloquist's partner. P J S Ordinary girl murdered. R B L E Expert lawyer hanging out where Jack and Janet might be found. Y H P Fooling around with Northerners. O C D The President, serious business. Bold move, isn't it, Paul? It wouldn't be in Italy. G T S Gruesome tale of a British politician. B L S Angry person looking after a group of youngsters. I I I Momentary occurrence involving a baby. P P P Nice countryman in attendance. PPP Nice countryman's present, perhaps. C T B Thief swiped reading material. SuperZee, it's interesting that you had Better Letter Setter, whilst I had Bitter Litter Sitter. Great minds do think alike. Paul, good one involving Susan Sarandon. I kept thinking Dey, but couldn't come up with anything else to fit. Picayune cucumber, preserved in vinegar and then frozen. Can't remember what killed those darned boll weevils. I ask you, splendid sojourn???? Almost. I went for the full-on rhyme: Hirsute Zoot-suit Pursuit. A couple of you seem to be building on my original ideas. I'm flattered, but you might just be running out of ideas. I mean I hate to make that assumption, but it does seem it would be possible sooner or later. P H S Have a good time, Mr. Know-It-All! F M H Counterfeit bills, baby. B R G Job requiring a semi truck. H T M D C Shoutout to the West End Children's Center? Hey there, Mayfair day care. M J F Dr. Cosby, at one time. I give up. What is MDT? P S Y Minor pasta-loving snow creature. U P B Where a pirate's mistake might be found? B B V The one selling an apparatus to make mixed drinks for your drinking spree? Dinner is in the container on the top shelf of the refrigerator. Person who writes on line about running and drinking beer. Job for a prestidigitator and doctor. I have a niece, very young at the time, who was disappointed when she learned, contrary to what she thought she'd heard, that I wasn't studying to be a magician's assistant. Magician Physician Incision is a simple variation on the original; but you knew that. You're wondering about Mr. Shin. I just felt like a change. And, indeed, a clamp and change figured into the solution to the Car Talk Puzzler. Ka-ching! Why would a motel owner be predisposed to assigning a traveling salesman to a second-floor room, and does the fact that he's driving a Volkswagen have anything to do with it? Oh, Mr. Shin was the Camp Clamp Champ, obviously. Shouldn't that be Pink Panther star's award winning wine collection? And for that matter, Sellers' with the apostrophe moved over. A screwdriver is also a crankshaft. Pissed ‘n’ broke also works if you permit the answer being a homophone. Last Sunday I said, “Think NASCAR.” At NASCAR races each driver has his own pit crew full of mechanics. This puzzle reminded me of a riddle from High School Chemistry. Q - What do you get if you mix vodka and milk of magnesia? A - A Phillips Screwdriver. I considered posting the question as a clue, but thought it might be too revealing, so I stuck to the rhymes. Speaking of which. N S C – updated hint to this week's puzzle. Dwight Eisenhower (is alleged to have) had an affair with his chauffeur during the during the World War II. It is not simply "alleged" but substantiated. President Truman ordered him to end it. It is the rare U.S. president who did not have extramarital affairs, including Abraham Lincoln. "I keep thinking of Mini Coopers for some reason." as in Minnie Driver >>> DRIVER'S crew. "Ha! Yes, SuperZee, on a week when Blaine's Blog is mentioned on NPR, perhaps we ought to drop an actual clue or two to the Sunday Puzzle. That's the long and short of it." As in long and short SCREWDRIVERS. If your mechanic doesn't have at least one screwdriver, I'd get a new mechanic. "OJ did it" refers to orange juice going into making a screwdriver(with vodka). Also, Archie Bell and the Drells had a hit called "Tighten Up". Wilson Phillips only really meant as in Phillips SCREWDRIVER. An unreadable T-shirt is like peach schnapps, sort of. Paul, I am not as keen on this as I thought I'd be. Fuzzy Wuzzy was a ? I'm three conjoined rhombic dodecahedra, WW. What are you? That's a hard tesser act to follow, Paul. First, ultraviolent and now this. . . Okay, Blainesvillians, we are once again creeping ineluctably toward the 200-comment mark. If you need a little break from the triple-rhymefest, check out Puzzleria!. I just uploaded this week’s edition: Four fresh puzzles (including one by skydive boy!) plus one puzzle appetizer. Oops! I guess the early neutron got the crouton. J B B P Camping gear for Tenacious D's frontman. T S W High restroom partition. M P F Crazy kilt craze. That would be quite a relief. But, if I'm right, there was a big hint in the on-air program.